We go the extra mile – one yard at a time. Not many people actually have the time or patience to tend to their landscaping. Thankfully, H. DaPonte Scape, LLC is here to help. Whether you want to spruce up your yard for that upcoming barbecue or create a professional, manicured look for your office building, put our experience of professionals to work for you. Since every project is unique, this is only a basic list of some of the services that we provide. Depending on the individual needs of each client we can pull resources from other fields to meet the client's needs. H. DaPonte Scape, LLC offers weekly, biweekly and monthly services as well as a one time service. Profession irrigation company for 40+ years. 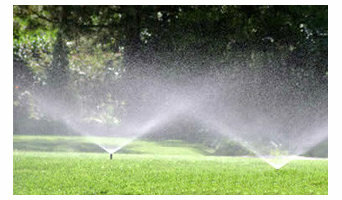 We repair, revamp, redesign underground sprinkler systems without tearing up your yard and landscaping. Hiring a lawn service company to take care of your lawn can be a daunting task. You always wonder if they are going to do a good job and if they are dependable. Are they even licensed and insured? Don't fall for the promise of cheap prices because you will usually end up with cheap, unreliable service. Like the old saying goes; "You get what you pay for". Are you tired of going through different lawn services trying to find the one who actually cares about your lawn? One that will take the necessary time to do it right each and every time? 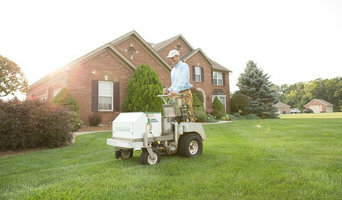 Gibson Lawn Service treats your lawn like it was our own. We would not want patches of grass left uncut or cut grass left in the road after we leave. Gibson Lawn Service takes the necessary time to make sure your lawn looks better than it did when we arrived. 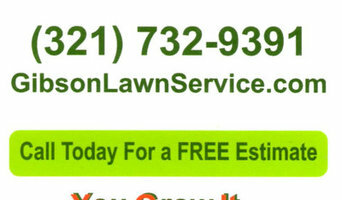 Contact us today to get the lawn and service you've been wanting. We maintain your lawn. Allowing you to enjoy your free time, creating memories with loved ones. Why add another item to your already busy "to do" list. Instead, add a beach day to your calendar. You can rest assure that your lawn is left in the hands of the ones you can trust. 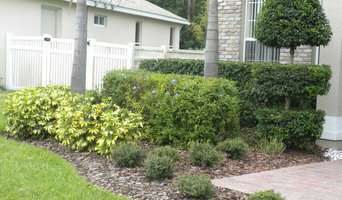 We are a full service Lawn and Landscaping Company with over 12 years serving the Central Florida area. We have built our business on the Motto "Quality, Reliability, Knowledge"
When it comes to Sprinkler Repair, Sprinkler Installation and Sprinkler Design, no one compares to LED Irrigation Partners, LLC. With years of combined experience, LED Irrigation Partners, LLC has worked hard to build the trust of our clients in Winter Springs, Winter Park and Oviedo and beyond. Visit our website to learn more. Or better yet, click the link and call us today! Here at My Nona's Garden we bring health, promote growth and provide education to local communities, one garden at a time. Our high quality, custom, raised vegetable gardens in Orlando and expert gardening services have an excellent reputation. We are here to help your family grow non-gmo organic vegetables all year long through our gardening services. Serving residential and commercial accounts alike, the locally owned and operated The Grounds Guys of South Orlando are ready to meet all your landscape maintenance needs. We are fully dedicated to taking your grounds care wishes and making them our own. Whether it's mowing, mulching, fixing drainage or simply fall and spring cleanup, we are ready with a wide array of lawn care services to help your home or business look its best. Orlando's lawn care professionals compete for your lawn. Compare your pricing and reviews from other GreenPal customers. Schedule and Pay online or with your smart phone and never leave a check under the mat again. Flama Lawn Services About Us Flama Lawn Services Inc. It’s a family own company that specialize in professional maintenance services for residential and commercial lawns. We provide comprehensive lawn care services to meet the seasonal needs of your property to keep it looking great throughout the year. It is essential for us to assist and educate our customers in the design, installation and maintenance of their lawns and landscapes. We work directly with homeowners, landscape architects and designers to make unique outdoor environments. Our trained and dedicated team will provide you with a positive work environment during the construction of your landscape project. We are a full service Commercial and Residential Landscaping Design and Install company. We also have a lawn and landscape maintenance division offering several service plans to fit your budget. We offer task based estimating systems and easy to understand service agreements. When you call JLC Outdoors your call will always be answered by a real person. No irritating pphone menus to contend with. If we happen to be on another line or temporarily unavailable please leave a message and be assured we will return your call promptly. Jason Adams the owner of JLC Outdoors still offers , as he has for the past 20 years, hands on management and personal service. Jason and all our supervisors and crew leaders are always available to take bid and service calls with our Direct Connect communication system, enabling fast , efficient service. 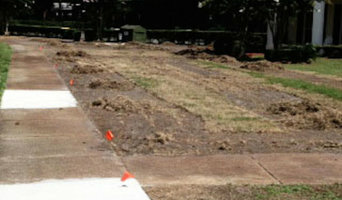 We also offer paver install, sod replacement, mature trees and palms installed, annual or perennial. Our team provides professional and affordable landscaping and maintenance to the Greater Orlando area. Why should I hire an Orlando, FL lawn care services company? Lawn care services in Orlando, FL will be able to maintain large lawns by installing sprinkler systems for you and carrying out lawn treatments to keep your grass healthy and green. If you have a particularly large outdoor space to tend to, it could be worth hiring an Orlando, FL groundsman to come and weed your lawn, remove moss and care to your sprinkler system on a regular basis. However, for most of us this probably won’t be necessary, but it doesn’t meant that you won’t need a lawn care professional at some point. For example, when planning a garden makeover you may need their services if you intend to include a patch of grass in your garden design. Lawn specialists can lay new grass and advise you on new lawn care so that you can keep your patch of grass, no matter how small, healthy and green for as long as possible. Or, if you inherit a lawn from a previous owner but aren’t sure what to do in the colder months, speak to Orlando, FL lawn care services about winter and autumn lawn care. You may find that the groundsman or lawn care services professional you speak to also works closely with Orlando, FL landscape gardeners who can help you with more aspects of your garden renovation and sprinkler system. Here are some related professionals and vendors to complement the work of lawn & sprinklers: Landscape Architects & Garden Designers, Landscape Contractors, Garden & Landscape Supplies. Find a lawn and sprinkler specialist on Houzz. Narrow your search in the Professionals section of the website to Orlando, FL lawn care services, groundsmen and sprinkler system companies. You can also look through Orlando, FL photos to find examples of lawns and sprinkler systems that you like, then contact the Orlando contractor or groundsman who worked on them.